The research projects registered in the following are financed by external funding through public institutions. We also do contract research for various companies. In collaboration between humans and robots, design and control must be tailored to the needs of humans and the interaction with them. In everyday situations characterised by a high degree of complexity and dynamism, this interaction has not always been satisfactory. The objective of this project is the development of an adaptive interaction concept and its realization in a demonstrator. A complex scenario is the proposed based on a mobile robot operating in a supermarket. The main objectives of the interaction concept are human-robot communication via voice and touch inputs, human deection and recognition, as well as navigation and control in complex and highly dynamic environments. Das Projekt is funded by the BMBF over three years and it is realzed in acooperation with Innok Robotics, LUNAR and Toposense. In an aging society the elderly are not only becoming older - they also spend more time being alone. The majority of older people is expecting to live alone in old age. Increasing social and emotional isolation are the result. This problem can be counteracted by establishing motivation and opportunities for social contacts. A number of approaches in science and industry have addressed these issues. Examples for technology-driven approaches are social networks for older people or Ambient Assisted Living (AAL) concepts. Other solutions are free of any technology like intergenerational housing communities. All these approaches provide solutions to certain aspects. But they do not turn down the threat of isolation because they neglect, in our opinion, a particularly important aspect: the promotion of social exchange with the immediate neighborhood. The aim of the project is to establish a research group that deals with the question on how such social exchanges can be initiated and supported technically. We are trying to transform a multi-generation house, i.e. a building in which different generations are living side by side, into an inter-generational house, i.e. a building where these several generations are socially interchanging. The core idea is to introduce technology in order to reduce isolation. The project was initiated by Dr. Arne Berger and is being realized under his management. It is one of eight winners of the competition "Interdisziplinärer Kompetenzaufbau" (Establishing Interdisciplinary Competence) of the BMBF and is funding six employees over a period of five years. Localization of the medium: Where is a recording come about? Localization in the medium: Where the objects are placed in a picture? Localization in the world: where are the objects of the pictures positioned in the real world? The project is designed as a companion project to the endowed professorship Media Computing, together with the Chair Media Informatics. Five research assistants are funded by the BMBF over a period of five years. The Research Training Group "Connecting Virtual and Real Social Worlds" addresses the increase in digitization and its resulting virtualization of processes, communication, environments, and finally of the human counterparts. The nature and the degree of virtualization vary significantly, and they depend considerably on the context of application. In addition, media-mediated communication is always restricted in comparison with real-world communication. Our goal is to overcome the current constraints of media-mediated communication. In doing so, we are studying which new ways of interaction and communication are offered by the connection of virtual and real social worlds in comparison with the experience of immediate real interaction and communication. The research program subdivides the connection between virtual and real social environments into the fields of: communication, emotions, sensomotorics, and learning. Research in these areas is performed within interdisciplinary research tandems consisting of computer scientists and social scientists on a doctoral, postdoctoral, and on the supervisory level. The Chair Media Informatics is engaged in the field "communication". Prof. Eibl is speaker of the training group. H-RoC: Human Robot Cooperation In the field of stationary robotics, there are already promising approaches to cooperation between humans and robots. Much more difficult, unresolved research questions arise in the cooperation between humans and "intelligent" mobile robots. The state of the art in the use of mobile robots are Automated Guided Vehicles (AGVs), which perform transport tasks within companies on fixed routes. If more flexible cooperation between humans and mobile robots is required in unstructured environments, there are no solutions so far. This project therefore aims at advancing methodological developments in human-robot cooperation. As an example scenario, we will use a large outdoor construction site in the following. Flexible and intelligent mobile robots could take on a variety of tasks here (e.g. transportation, holding, digging, drilling). To do this, the robots must act largely autonomously, perceive their environment and react to obstacles. Since transport routes often change due to construction site conditions, flexible navigation is required. A particular challenge and prerequisite for acceptance is the ability to interact meaningfully with other people on the construction site. In this project we cooperate with the chairs Graphische Datenverarbeitung und Visualisierung (TU Chemnitz), Technische Informatik (TU Chemnitz), Prozessautomatisierung (TU Chemnitz) und Computergrafik (HTW Dresden) durchgeführt. The quality of cooperative work on technical systems is essentially determined by the quality of communication and interaction between the people involved. Achieving high productivity as well as avoiding system failures due to incorrect operations therefore involves technical as well as psychological and sociological issues. Especially in fields of activity where human failure can have far-reaching consequences, there is therefore a considerable interest in the development of assistance systems to support the cooperative work process. Such a system is expected to be able to assess the emotional state of the individuals and the overall state of the team and to predict it within limits in order to avoid critical situations in advance. The object of the proposed project is the development of basic methods and procedures required for the realization of an assistance system for teamwork on technical systems. As a prototypical scenario, we consider the work of center controllers in the field of air traffic control, which consists of coordinating air traffic. 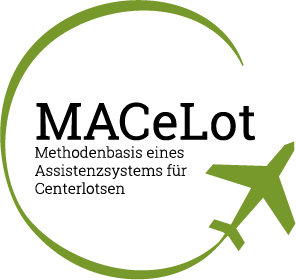 In this project we cooperate with the chairs Graphische Datenverarbeitung und Visualisierung, Visual Computing, Künstliche Intelligenz, Prozessautomatisierung and Mediennutzung as well as the DFS Deutschen Flugsicherung GmbH. The "Open-Air Lab for New Mobility at the Sachsenring" is one of some 40 projects in the Bavarian-Saxonian initiative „Electromobility connects“ and is funded with approximately 2.5 million euros by the State of Saxony and the German Government. The Chair of Media Informatics is involved with a sub-project investigating ways to increase road safety through knowledge-generating automobiles. Here sensor data of a car, f.e. the onboard camera, is used to define the road condition. The information is sent to an online platform a shared with other vehicles and governmental authorities. Different usage scenarios are designed in the form of use cases and implemented as a demonstration prototype. The research group "The Smart Virtual Worker - Digital human models for the simulation of industrial operations" developes methods and tools to optimize the ergonomic aspects of work places. The research is based on digital human models which are not only highly realistic in their behaviour but also effective and efficient to use. A special consideration is the aspect of the working elderly. The Chair Media Informatics realizes interaction concepts to control the virtual worker. The group is placed at the "Interdisciplinary Centre of Excellence Virtual Humans". The research group Chrooma+ is based on a cooperation of the Chair Media Informatics, the Chair Computer Engineering and the Chair Distributed and Self-organizing Systems. The group realizes and evaluates technical possibilities to enrich audiovisual media with value-added services. The focus is on web-based services, digital signage and interactive television. The aim of ValidAX is the validation of the software-based frameworks AMOPA (Automated Moving Picture Annotator) and Xtrieval (Extensible Retrieval and Evaluation Framework). Both frameworks were developed at the Chair Media Informatics. AMOPA is used to extract metadata from any audiovisual media. Objects and people are detected as well as visual text. Speaker as well as speech can be recognized. Xtrieval in turn allows searching on any audiovisual as well as text-based media assets. The rese­arch objec­tive of the research group sachs­Me­dia is it to deve­lop solu­ti­ons and stra­te­gies for several tasks and pro­blems resulting from the cur­rent technological changes in media tech­no­logy altering from analogous to digital media. We are focus­sing on pre­vai­ling pro­blems of local or regio­nal tele­vi­sion ope­ra­tors such as impro­ving plat­forms for joint pro­duc­tion and archi­ving pro­ces­ses or swit­ching from ana­log to digi­tal TV services. The rese­arch initia­tive sachs­Me­dia is situa­ted the chair Media Infor­ma­tics at Chem­nitz Uni­ver­sity of Tech­no­logy and works in coope­ra­tion with companies ope­ra­ting in the media sector. The rese­arch group pro­vi­des sup­port and com­pe­tence in the fields of “Anno­ta­tion & Retrie­val”, “Broad­cas­ting & Dis­tri­bu­tion” and “User Inter­faces” to break down rese­arch bar­ri­ers at their part­ner enterprises. sachs­Me­dia is part of the Inno­Pro­file pro­gram fun­ded by "Entre­pre­neu­rial Regi­ons", an initia­tive of the Ger­man Federal Minis­try of Edu­ca­tion and Rese­arch BMBF.